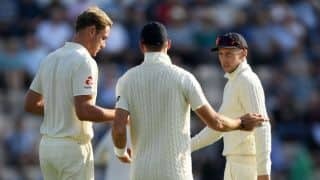 India lost four wickets for 14 runs to England allrounder Moeen Ali, including that of Pandya and Ashwin in successive overs. 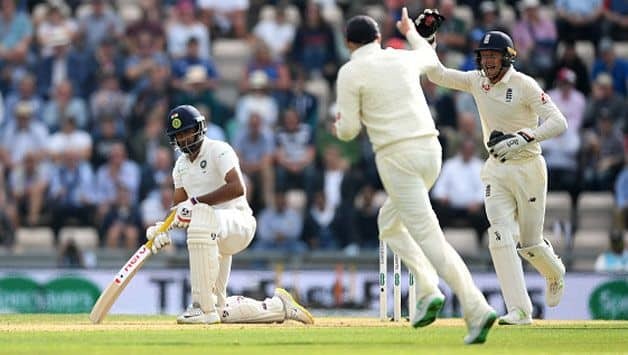 Batting coach Sanjay Bangar feels India could have benefitted more had Hardik Pandya and R Ashwin shown better judgement in their shot selection. India were placed at 181/4, before they lost four wickets for 14 runs to England allrounder Moeen Ali, including that of Pandya and Ashwin in successive overs. Ali went on to pick up a five-wicket haul. “A couple of dismissals were really soft. Hardik was not really on top of the ball while driving and Ashwin attempted that reverse sweep at a pretty early stage of his innings. Had he been set and been batting with the tail one could have thought that the shot was on,” Bangar said at the end of day’s play. That India recovered from the depths of 195/8 to reach a total of 273 was because of Cheteshwar Pujara’s gritty century under pressure. Earlier, having added 92 for the third wicket with captain Virat Kohli, Pujara was left stranded on one end as wickets fell around him. But not only did the batsman end up holding his end, he shepherded the tail, adding crucial 32 and 46 runs for the last two wickets with Ishant Sharma and Jasprit Bumrah. From a position where it looked like India would conceded a lead, Pujara put India in front by 27 runs. The knock was special, and Bangar, who has invested countless hours and sessions in Pujara, acknowledged the importance of the batsman making it count at Southampton. “Right from the first time he got to bat at Lord’s to the way he batted in Nottingham, he carried that to here,” Bangar said. 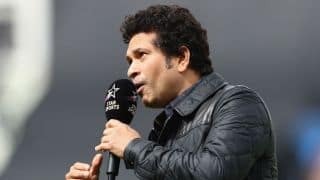 “I think he showed a lot of composure, clarity of thought and great discipline, in the judgment outside off-stump as well as the way he executed the shots because you saw a great mix of caution and aggression. Pujara wasn’t in the greatest of nicks coming into the England series, averaging 14.33 in six four-day matches for his county side Yorkshire, and perhaps that one of the reasons behind his exclusion from the first Test at Edgbaston. Bangar admitted that the team management had to correct certain flaws in the batsman. “He was struggling, certain areas had to be worked on. He had to get his balance right and also had to get his footwork right. Those were the two areas we worked on as a support-staff group — including Ravi (Shastri) and myself. It’s heartening that the work he put in was duly rewarded,” the batting coach pointed out. Does that mean we can expect more from Pujara in the remaining three innings of the Test series? Bangar seems optimistic. “Once he gets on a roll, he generally makes sure he carries on in that fashion. His hunger for runs is well-known and he’s known to play long innings. It augurs well for the Indian team. With three innings remaining, if he continues in this fashion, it will put the team in winning positions.” he said.